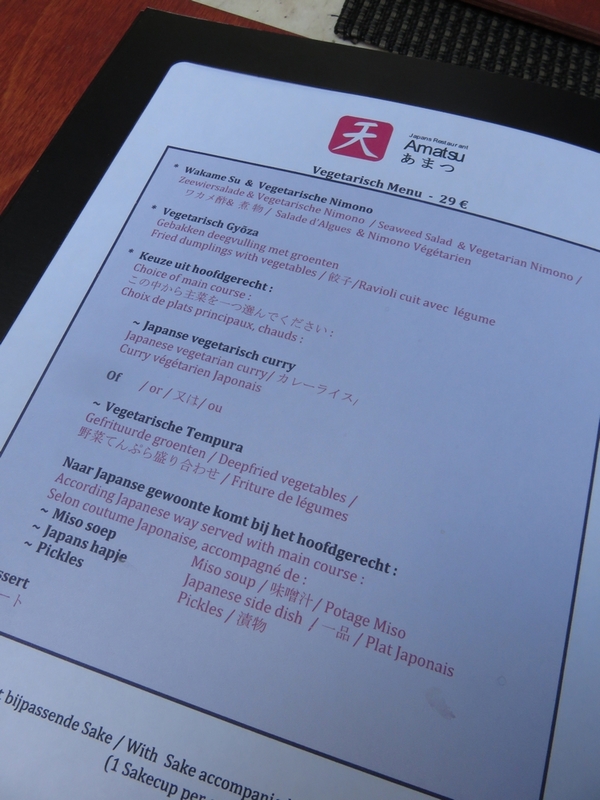 Restaurant review #93 – Amatsu is a Japanese restaurant in the city of center of Ghent (in between the Korenmarkt and Vrijdagmarkt – close to the city hall). 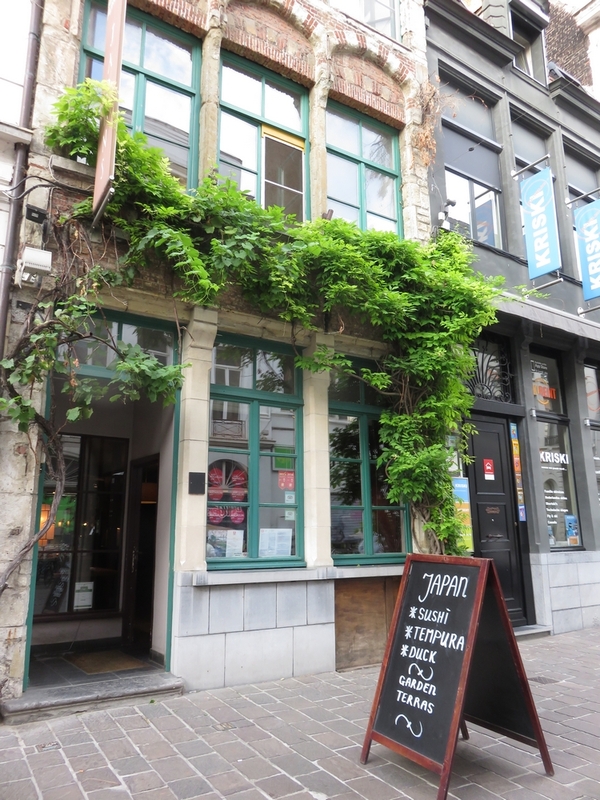 I had seen restaurant Amatsu mentioned on one of the Belgian vegan facebook groups. 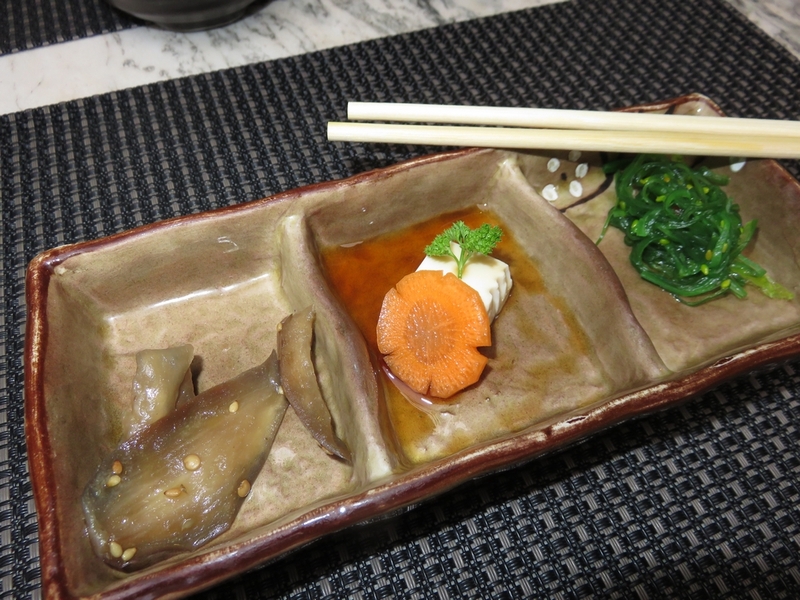 Amatsu has a vegetarian menu standardly available, which can easily be veganised. 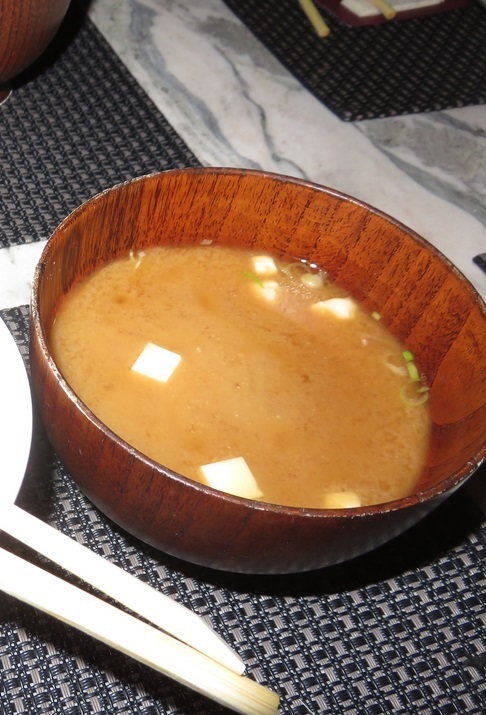 A vegan friend telephoned and Amatsu said vegan was no problem, and so she made the reservation for the four of us (all vegans). 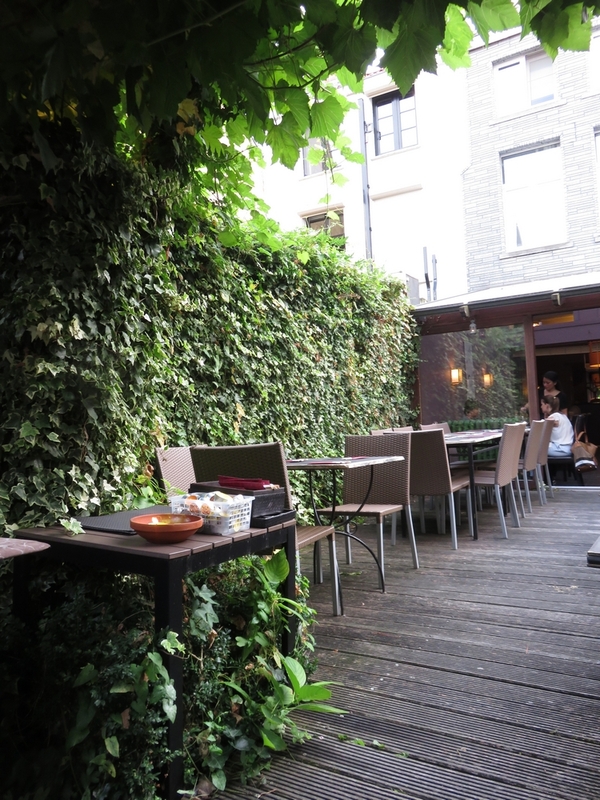 It was a beautiful Summer evening and we sat on the terrace at the back of the restaurant (very spacious!). It was a Saturday evening and the terrace soon filled (so I definitely recommend making a reservation). 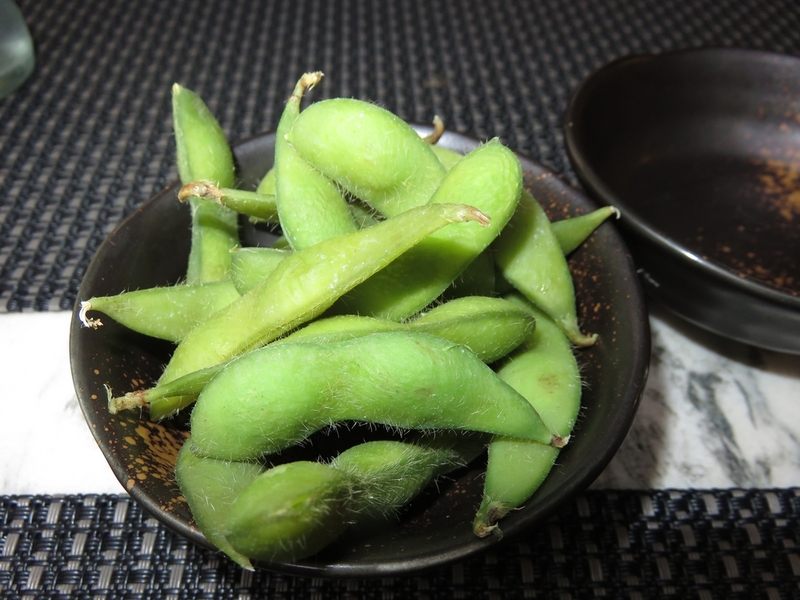 Edame beans. 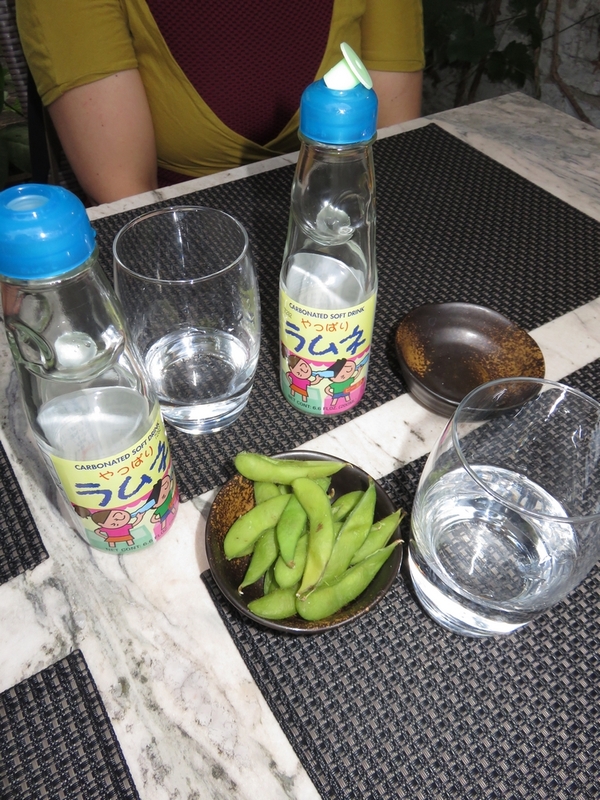 Japanese soft drinks (too heavy on sugar! and overpriced 4€ each!). Other drinks were sparkling water 4,50e for 1/2L and tonic 2,50€). The food was very nice. 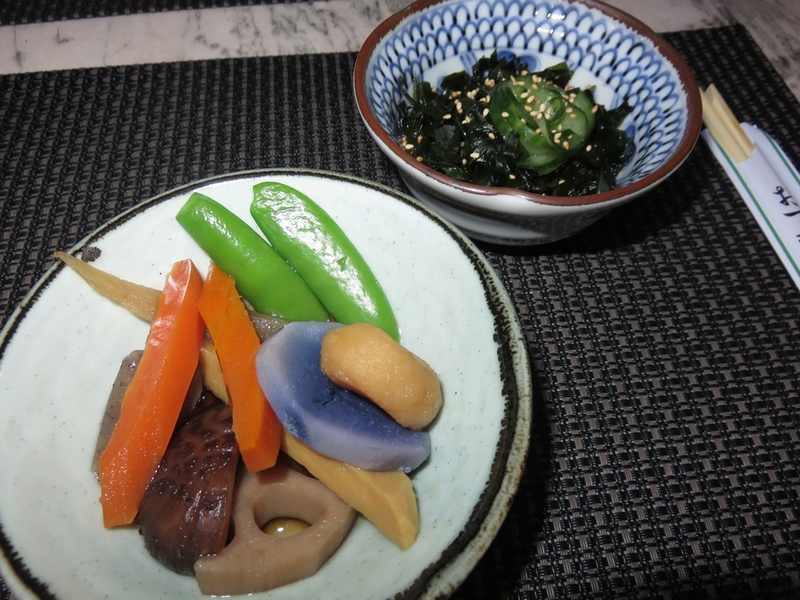 Lovely combinations, and some vegetables that are rather rare! I don’t have any photos from the interior of the restaurant, but walking through it on our way and out, it transpired a nice relaxing feeling. Toilet was clean. 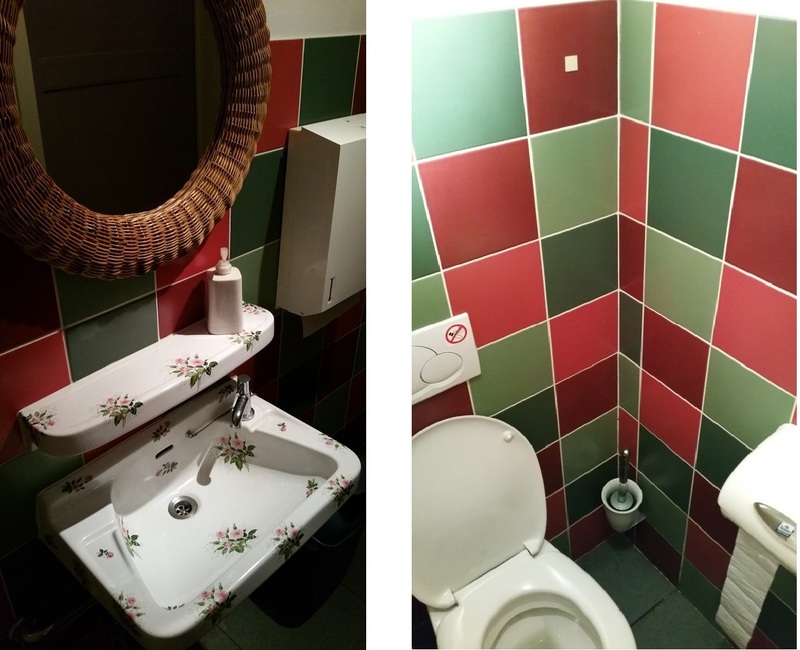 Nice tile colours too and a beautifull decorated sink (with flower print). 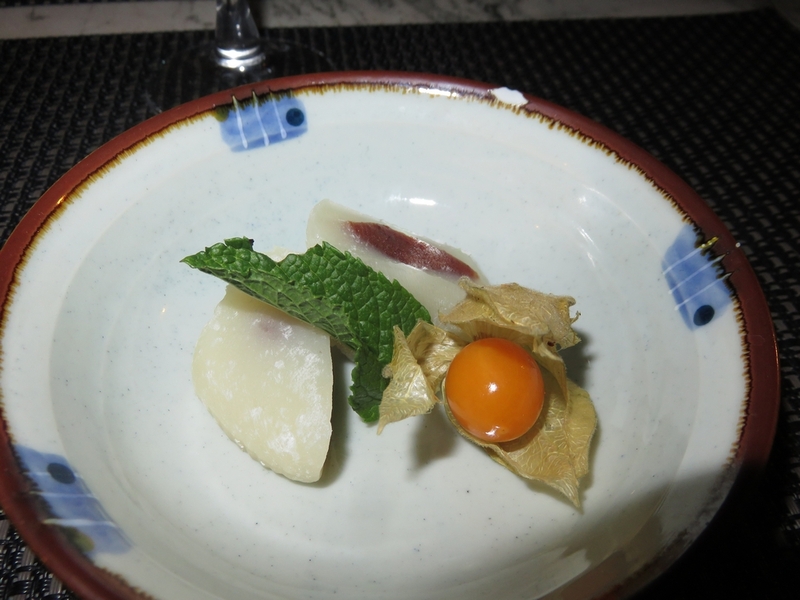 We had a very nice dinner at Amatsu. Definitely good value for money. 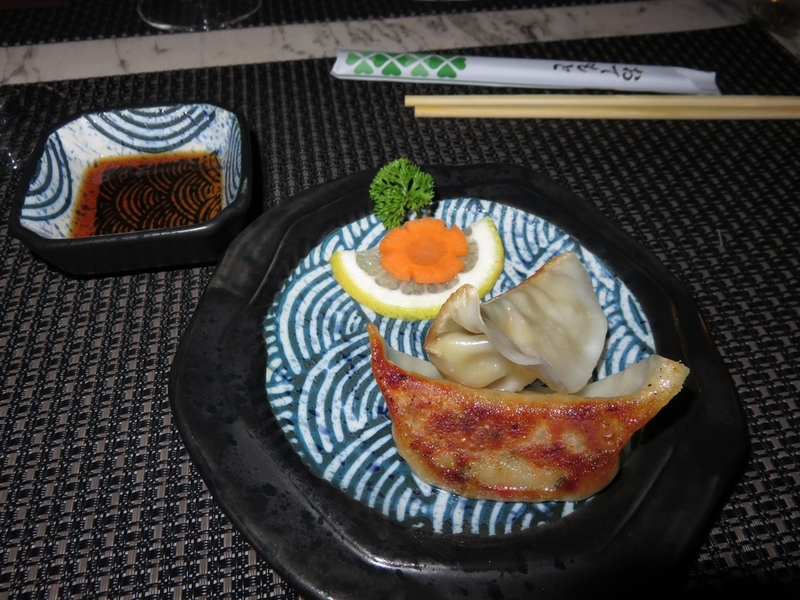 Great food, very friendly service and relaxed atmosphere. Recommended! Delicious looking food and well balanced. 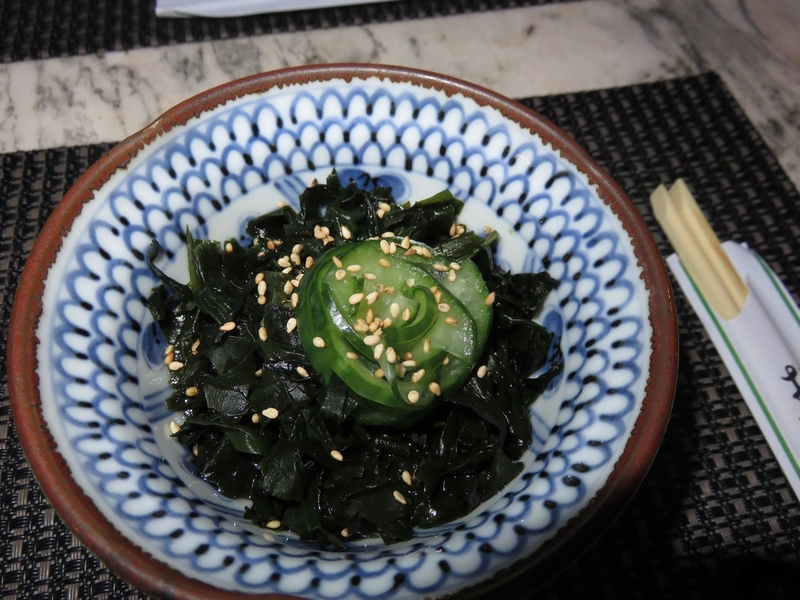 I always forget how much I like seaweed. Looks good! Were the portions as light as the pictures looked ( I’m on mobile)? 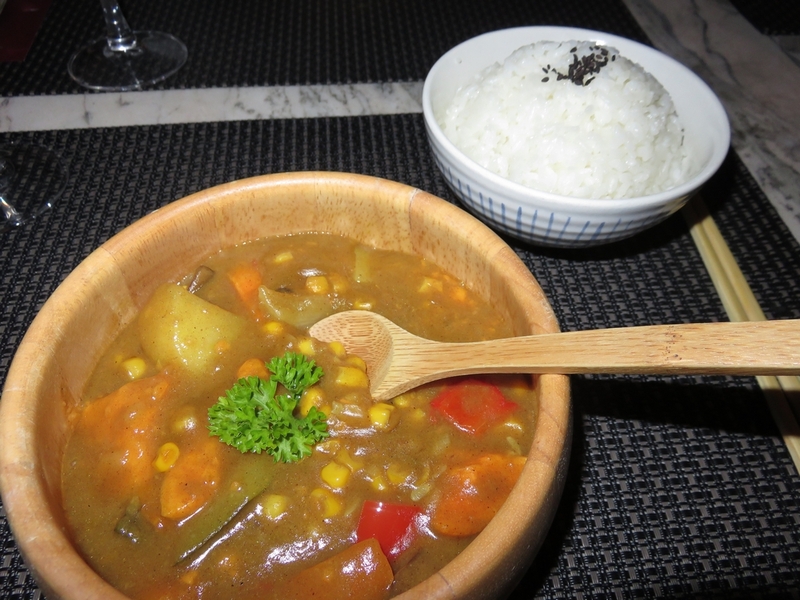 Oh, it was more than enough for me, I could hardly even finish all the courses!